I finally got it together and made another superhero for the boys…and who do you think we decided to make? 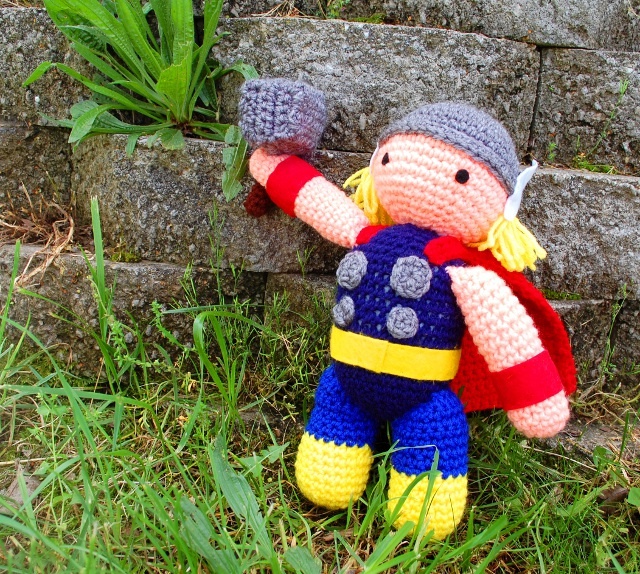 It’s Thor! Now, it’s not easy designing a superhero around here, let me tell you. Everybody (else) has an opinion about which colors we should use and which costume elements are vital and whether the helmet looks right. But in the end, I think he turned out very well. He had a lot of fun today with Batman and Superman and the chickens that we are raising in the backyard. There’s been talk among the peanut gallery of pressuring me into making a villain for him to fight. I have to admit, three heroes and no villains does seem like it might get boring (for the heroes, you know). So we’ll have to see. 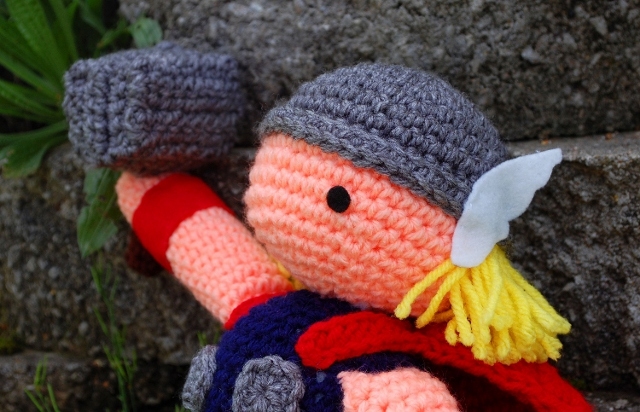 But for the time being, you can pick up directions to crochet your own god of thunder at Inner Child Crochet.